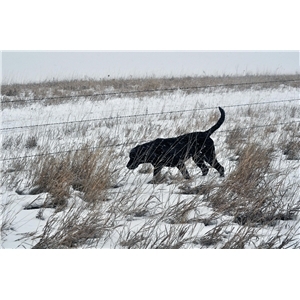 Both Reese & Huck are outstanding hunting dogs.They have all the natural instincts that I look for in a hunting dog. Reese has a prey drive and retrieving drive that I have not seen before in a dog. She is a very focused dog and wants to complete any task you put in front of her. Huck is also an excellent hunter with an exceptional nose. He has a very solid pointing instincts. I expect these pups to be very intelligent & quick learners with a very strong prey drive. 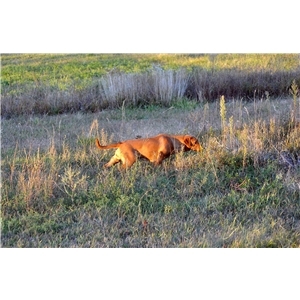 They will also have very high natural pointing & retrieving instincts. 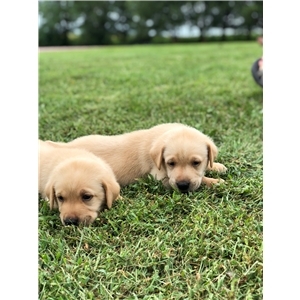 These pups will make excellent family companions, great hunting partners, and have the ability to play any of the Dog Games out there. Excellent pedigree with many GMPR's. 30 Month Hip & Eye Guarantee.